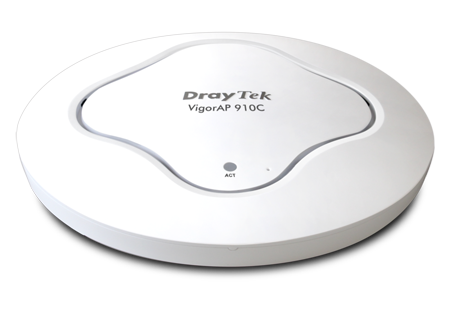 The DrayTek Vigor AP910c is a wireless access point which can be operated in standalone or centrally managed/monitored mode (with the use of a central DrayTek management product - see later). The AP910c is a high specification professional access point providing reliable and flexible coverage to all manner of applications. 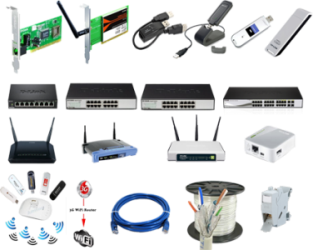 A vast array of security and management features helps the AP910c improve and protect flexibility and integrity of your wireless LAN. The Vigor AP910c is ideal for adding wireless connectivity to an existing LAN, or for expanding the range of an existing wireless LAN by using the WDS repeater features. The ceiling format of the unit means that it can provide unobstructed coverage to the area around it and aesthetically blends into any home or office environment thanks to its shape, size and hidden cable entry. The AP910c can also be wall mounted. For both options, a circular mounting plate (included with the unit) is fitted and then the AP910c is attached. 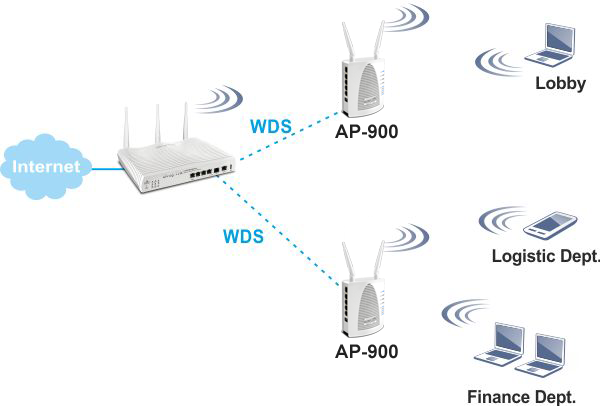 The AP910c can be used together with our other access points (AP-710, AP-810 and AP910c). The Vigor AP910c supports simultaneous operation of the common 2.4Ghz band and the new 5Ghz band. The 5Ghz band is far less congested so if your PCs or other devices support the 5Ghz band, you can use that. The Vigor AP910c operates both bands at the same time, so your devices can use either band and each has its own bandwidth so overall wireless capacity is also increased. The 5Ghz supports the full range of extended domestic 5Ghz channels, due to its support for DFS/TPC. You can select all 5Ghz channels up to channel 140, as opposed to just the 4 'Band A-Lower' channels (which provides only two non-overlapping channels @ 80Mhz channel width). The AP910c is designed to be installed on ceilings in order to serve the area below it. The cables (Ethernet or Power) can reach the AP910c from the rear or the side. For solid ceiling fixing a backplate is supplied. The backplate fixes to the ceiling and the AP910c then clips in. Alternatively, T-Bar mounts enable quick and easy attachments to suspended ceilings (see photo below). The AP910c can also be wall-mounted - keyhole slots on the back allowing any orientation. Locating all of your access points optimally helps ensure you have everywhere covered. Once the units are installed, to help you identifying each access points, you can switch on a beeper inside each unit. 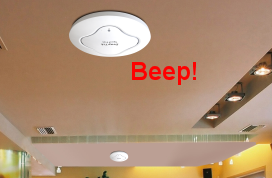 The unit will then beep so that you can locate it easily. 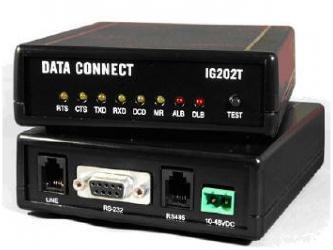 The AP910c can operate in standalone autonomous mode or can form part of a centrally managed wireless installation by adding a compatible DrayTek wireless controller (a Vigor 2860 or 2925 router). This enables you to centrally control, manage and administer multiple AP910c devices installed around your building/campus. Management also enables efficient usage of your wireless access point through load-balancing, whereby wireless clients are distributed across several access points to reduce congestion. For further details of the central management feature, click here. 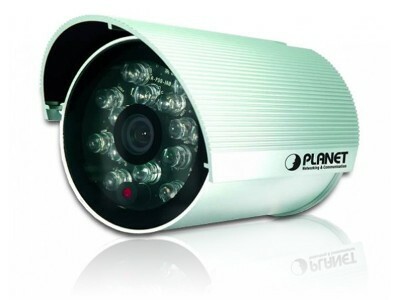 The AP910c features multiple levels of wireless security. Encryption using WEP, WPA, WPA2 (802.11i) is available you can also use the access control list (ACL) to specify the hardware addresses of clients which are permitted to connect (by MAC hardware address). Any unauthorised hardware is refused access. 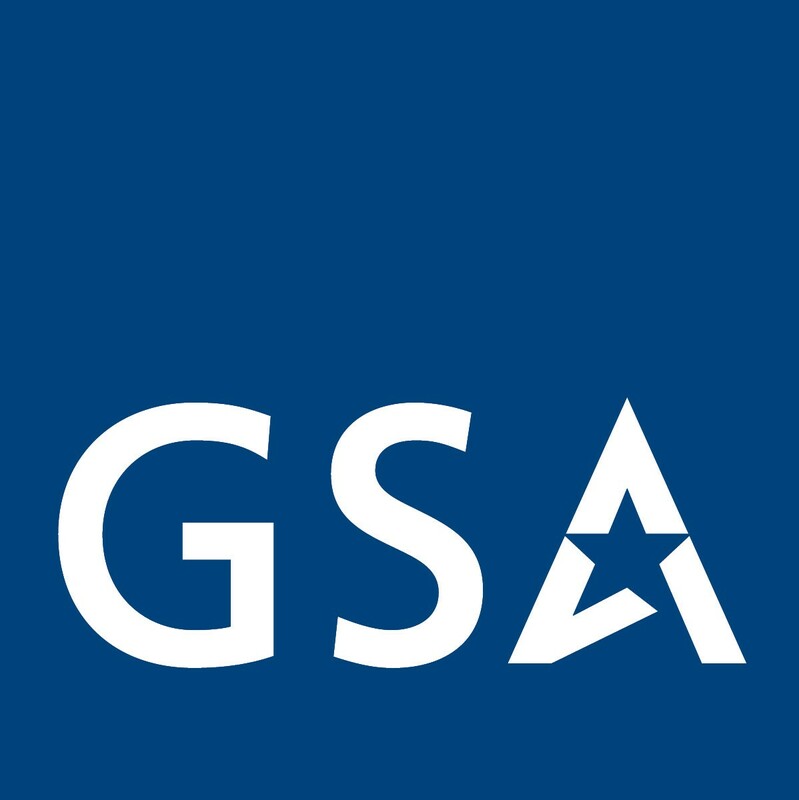 For additional user authentication, you can activate 802.1x RADIUS (Remote Authentication Dial-in User Service) which allows you to centrally manage and store user names and passwords either within the AP910c setup itself (thus not needing any external server) on an external radius server which can permit time limited, temporary or continuous access to your clients as required. The Vigor AP910c supports the 802.1q VLAN protocol so that if it is connected to an 802.1q enabled LAN, it can split tagged data (whether its different subnets or intended for different users) and broadcast each on its own SSID. This means, for example, that your guest WiFi access is provided on a separate isolated SSID with no access to your company data. The AP910c implements intelligent wireless traffic prioritization for the most efficient management of wireless traffic by using the Wi-Fi Multimedia standard (WMM). WMM defines Quality of Service (QoS) in Wi-Fi networks. It is a precursor to the upcoming IEEE 802.11e WLAN QoS standard, intended to improve timing critical applications such as audio, video and voice applications over WiFi. WMM adds prioritized capabilities to Wi-Fi networks and optimizes their performance when multiple concurrent applications, each with different latency and throughput requirements, compete for network resources. 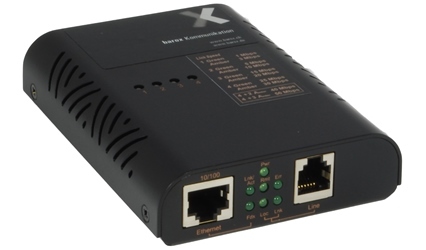 The AP910c supports PoE (802.3af Power over Ethernet) as standard (built-in) so if the AP910c is connected to a PoE-enabled Ethernet switch or PoE injector, you don't need any local power to the unit (power supply) - the AP910c will take its power from the Ethernet cable. The AP910c supports Gigabit PoE (if you have a Gigabit PoE switch/injector) such as our VigorSwitch P2261 or P-1090 models (or any other 802.3af device). PoE is ideal for situations where you do not have mains power available in the exact location where you want to install the AP910c or just for general aesthetic neatness, perhaps where the AP910c is installed somewhere prominent. The AP910c is also supplied with an AC/DC mains PSU for installations where you are not using PoE. For full details on central management of DrayTek Access points and the capabilities of each model, please click here. This mode joins two parts of the same logical network which cannot be otherwise connected by cables, for example between two adjacent buildings. You can then connect a PC directly to it using RJ45 Ethernet. 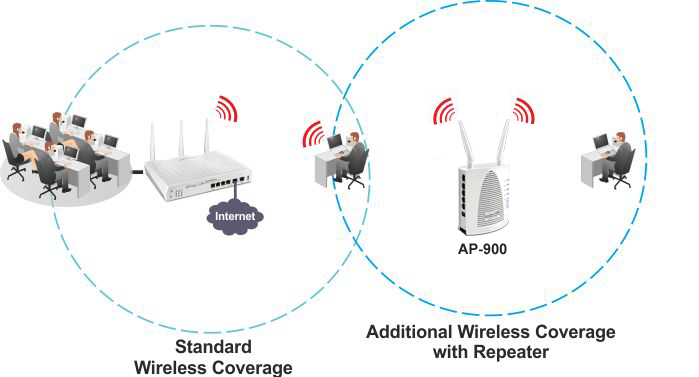 As a repeater, the AP910c can extend the wireless coverage of a network. You can add multiple units to extend the range in multiple directions or multiple hops (for best performance, more than two is not recommended due to latency and channel congestion which can result).